Continuing on the mission to create a broader understanding and appreciation of the role that industrial railways play in the North American railway system and to shed light on resources and systems for safe operations. Join the fifth annual event that has become Canada's #1 Industrial Railway forum for industrial and short line operators, Class 1 operators, regulators, shippers, suppliers, safety training experts, academics and economic development representatives. Railway safety is a top priority as goods movement by rail continues to be the backbone of the North American economy. Learn about the most current and best practices in the sector, interact with experts on the regulatory process and safety management systems, gain insight into new technologies and equipment, and find out about safety training resources. Together we can make a difference in improving rail safety across North America. If you have any questions please contact Sarah Whittaker, Event Director at 780.263.0886 or email registration@industrialrailwayconference.com. FOLLOW US ON FACEBOOK FOR UP-TO-DATE EVENT NEWS. The increase in volume on our railways, tighter controls and regulation from provincial and federal sources, the demands to perform to standards with existing resources all add up to higher expectations on your company. The Industrial Railway Safety Conference is here to help you understand how to meet the challenges you face and ensure the right conditions for a thriving and efficient operation. 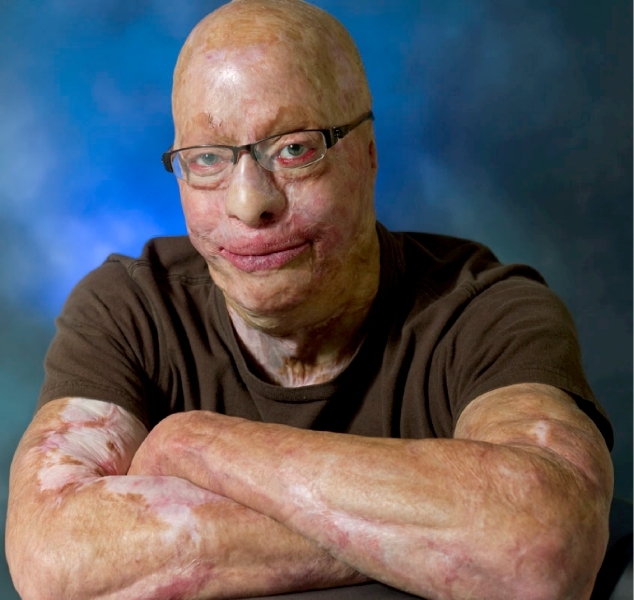 Spencer Beach was a 3rd generation flooring installer and among the best in his field when he endured a horrific flash fire that left him permanently and severely scarred. After spending 14 months in the hospital and a year more of rehabilitation he has gone on to carve out a new path for his life. Spencer has achieved such designations as a Construction Safety Officer through the Alberta Construction Safety Association, as well completed with distinction the University of Alberta’s, Faculty of Extensions, Occupational Health & Safety Certificate program. Spencer has been an international professional speaker for 13 years and delivered over 1,500 presentations. His messages focus on people’s behaviours to improve workplace safety, overcoming hardship, drug and alcohol abuse, understanding self and self-esteem, healthcare groups and more. Spencer is also the author of his bestselling book In Case of Fire, works with WCB Alberta to motivate injured workers, is a volunteer for the Friends of the University Hospital of Alberta, was awarded the 2013 Avenue Magazine Top 40 Under 40 for his community work and was the first recipient of the Award of Courage through Glenrose Hospital. Premium Level Sponsors for 2019 – Thank You! Full Level Sponsors for 2019 – Thank You! being done in our communities. Click on their logos and you will be directed to their websites! REGISTRATION OPEN — TAKE PART IN THIS EXCITING EVENT! This conference is being held at the beautiful and world-class Dow Centennial Centre in Fort Saskatchewan. The one-day event will offer presentations, networking opportunities and useful resources from today's industrial railway leaders. If you have questions or comments about the conference that are separate from the registration process or if you wish to become a sponsor, please email us here by submitting information on the form. We will respond as soon as possible to your request.